Get adAPT for US $15 ($150) worldwide! DO Vacuum cleaners, thunder, crying babies or other sounds CAUSE YOU or your child EXTREME DISCOMFORT AND DISTRACTION? you or your child may suffer from sound hypersensitivities. FOR KIDS (5+) and ADULTS. Use the app from the comfort of your home and there is no need for daily visits to a practitioner’s office. 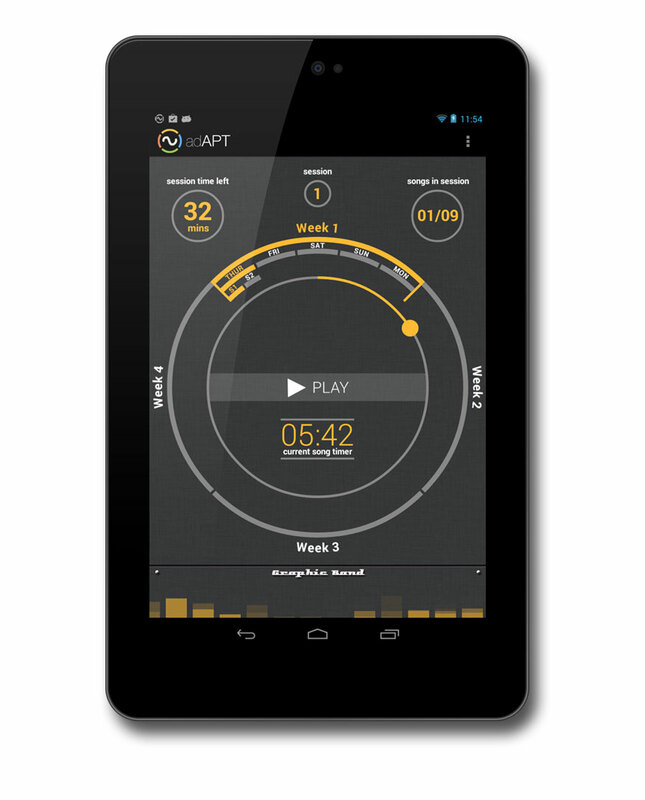 Automatic notifications by adAPT remind you when to play your next music session. Specially chosen kid-friendly music that is enjoyable for you to listen to on a daily basis is included with the app. Based upon more than two decades of electrophysiological and brain imaging research on how the nervous system processes auditory information in health and disease. By using music, we utitilize a safe and risk-free medium to reduce sound sensitivities. Volume is always kept below the safe levels for hearing by the app. A low cost solution makes it accesible to everyone. No need to purchase new and expensive hardware. Additionally, you can play a game or read a book while the modulated music plays in the background. Tinnitus Re-Organization Training (TROT), which is the algorithm behind TROT for tinnitus is not yet commercially available but is presently undergoing rigorous clinical and research testing to look at safety and efficacy. Assuming a successful clinical trial, it is expected that we will seek FDA approval for the TROT process. If you have any questions regarding TROT, please contact us using the link below. Advanced Auditory Processing Training (adAPT) and Tinnitus Re-Organization Training (TROT) have their genesis in a single idea: to tap into the inherent ability of the human brain to re-wire in response to external environmental cues. Developed by Drs. Lewine and Bangera, Advanced Auditory Processing Training (adAPT) is a novel educational intervention designed to target sound hyper-sensitivity and central auditory processing problems seen in children and adults with autism spectrum disorders and other acquired and developmental conditions characterized by auditory difficulties. adAPT is directly based upon more than two decades of electrophysiological and brain imaging research on how the nervous system processes auditory information in health and disease. adAPT uses a novel music modulation algorithm designed to take advantage of the brain’s inherent ability to re-organize in response to environment cues. This re-organization process, known as neural plasticity, provides a mechanism for re-wiring the brain to reduce sound-hypersensitivitiy and for improving information processing. Tinnitus Re-Organization Training (TROT) is a novel therapeutic approach to the treatment of noise-induced tinnitus [ringing in the ears], as is commonly seen in men and women returning from military service. TROT, like APT involves listening to modulated music, again with the detailed profile of modulation based upon our current understanding of the neurobiology of tinnitus. The TROT music is designed to re-organize the auditory cortex back to a pre-tinnitus state, and to disrupt abnormal hyper-synchrony that can result from hearing loss. The TROT music is combined with transcutaneous stimulation of the Vagus Nerve at the ear. The Vagus Nerve is one of the 12 cranial nerves of the central nervous system. Through non-invasive stimulation of the vagus, it is possible to augment the efficiency of plastic changes directed by the TROT music. We are a small startup based out of Albuquerque, New Mexico. We believe that neuroscience research should not be confined just within the labs but should ultimately reach the hands of people who need it the most. Our primary mission is to develop and evaluate novel, neuroscience-based, life improving approaches to the wide range of neurological, psychiatric, developmental, and learning disorders. Our executive team of scientists guarantee that our products are backed by rigorous research and testing for safety and efficacy. Given the rising costs of healthcare in the US, one of our primary goals is to produce solutions that are cost-effective and without any compromise in quality. A quick look at the folks behind CADET. 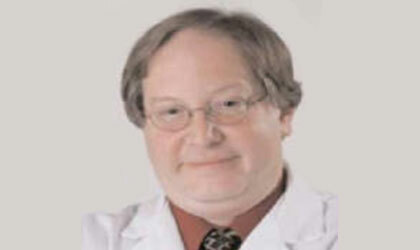 Dr. Lewine is the chief science guru at CADET and leads the clinical and research operations. He is the prime developer of the APT and TROT algorithms, as implemented by Dr. Bangera. Dr. Lewine is internationally recognized for his brain imaging research in autism spectrum disorders and the invisible wounds of war such as traumatic brain injury, PTSD, and tinnitus. He is also a Professor of Translational Neuroscience and the Director of Business Development for the Mind Research Network in Albuquerque, New Mexico. Dr. Lewine holds adjunct faculty appointments in the Departments of Neurology and Psychology at the University of New Mexico, and he is the Director of Neuroscience for Lovelace Scientific Resources. Dr. Lewine holds a Ph.D. in Neuroscience from the University of Rochester, and was previously a Director’s Fellow at Los Alamos National Laboratory. Dr. Lewine’s research leading up to the development of APT and TROT has been funded by several sources including the National Institutes of Health [NICHD and NICD], the Department of Energy, the Department of Defense, Cure Autism Now, the March of Dimes, the Wallace Foundation and NARSAD. Dr. Bangera is responsible for converting the ideas hatched in our research lab at CADET into real world products. 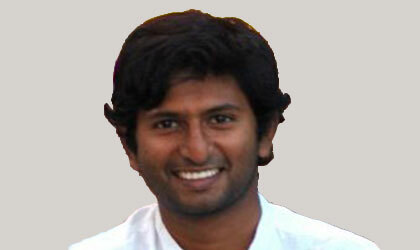 He is the software architect and UI designer of the adAPT platform. He is also the co-developer of the APT and TROT algorithms. His primary expertise is in the field of brain source imaging and signal analysis. He is proficient in advanced signal processing and developing scientific applications on multiple platforms. Dr. Bangera holds a Ph.D. in Biomedical Engineering from Boston University. He was a doctoral researcher at the MIT/HMS/MGH Martinos Center for Biomedical Imaging in Charlestown, MA and the University of California at San Diego. His doctoral research involved developing realistic head models with the aid of advances brain imaging techniques for improving the localization of brain sources which generate epileptic seizures. 2014-2019 All Rights Reserved CADET NM Inc.